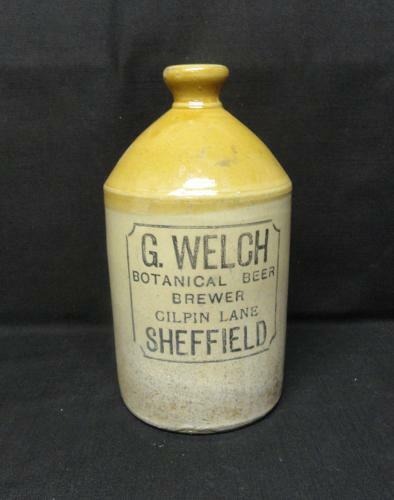 This is a wonderful English Victorian large stoneware bottle pot that once held Ginger Beer. The original recipe requires only ginger, sugar, water, lemon juice and a fungal-bacteria symbiote known as a ginger beer plant. Fermentation over a few days turns the mixture into ginger beer. Brewed ginger beer originated in Yorkshire in the mid-18th century.